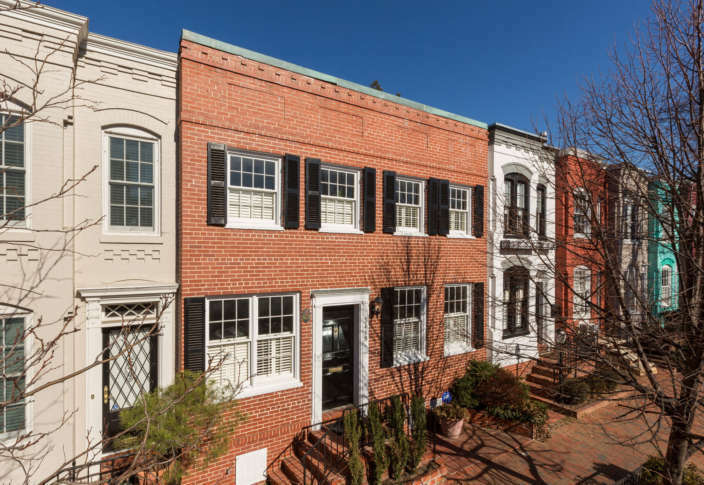 The Georgetown town house on Q Street where a then-Congressman John F. Kennedy met Jackie Bouvier in 1951 is going on the market. WASHINGTON — The Georgetown home where President John F. Kennedy met his wife Jackie Bouvier in 1951 is hitting the market. If you’re looking for a new place to live and want to own a small piece of Camelot, the house can be yours for $1.7 million. The house, which originally dates back to 1895, was rented out to Charles and Martha Bartlett in the 1950s. In May 1951, they threw a dinner party to introduce then-Congressman Kennedy to Bouvier. The pair bonded over cocktails, chicken casserole and a game of charades, and two years later they got married in Rhode Island.